The discernment process for the next Episcopal bishop of Minnesota is in full swing! The ECMN Standing Committee anticipates this process to be intensive, exciting, generous, faithful, participatory, and inclusive. 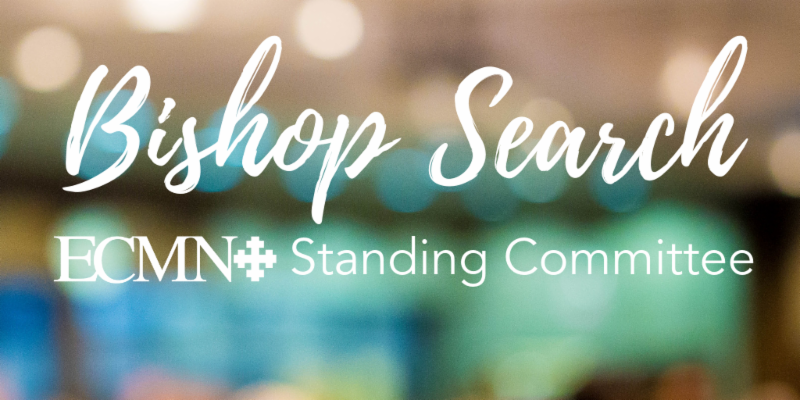 There are many ways to participate: as a member of an existing governing body, as a member of the Search or Transition Committees, as members of the ECMN household who pray daily for the search and transition process, as participants in giving feedback for the ECMN profile, or in a candidate “walk-about” and collective discernment. It’s “all-hands-on-deck" time, and a life-giving and hopeful process will require the gifts, prayers, patience, and engagement of all members of our beloved church in Minnesota. If you are discerning whether or not God is calling you to serve on the Bishop Transition Committee, please read the following job description . Consider the responsibilities associated with the Transition Committee and spend some time in prayer and reflection. Of the many ways to participate in the bishop transition process, is being part of the Transition Committee the best use of your gifts, time, and talent? If you discern the answer to that question is “yes,” then please complete this online application , which is due by M ay 4, 2019 . You will receive a response from the Standing Committee by May 14, 2019.